Tim DuFore received his Bachelor of Music degree from the North Carolina School of the Arts in Winston-Salem, North Carolina, where he was the recipient of the Vittorio Giannini scholarship. He was then accepted in to the Masters Program and Opera Studio at the Manhattan School of Music, New York, where he was awarded a talent scholarship by the faculty. He moved to Sydney, Australia in 1985 and, in 1988, he joined the Lyric Opera of Queensland's Young Artists' Program then he made his debut with The Australian Opera in 1989. Also in 1989, he was the winner of the Metropolitan Opera Auditions-Australian region, representing Australia at the Metropolitan Opera Finals in New York. These successes saw him hailed as ‘…one of the rising young stars of Australian opera’ – a promise he has gone on to fulfil. Recent roles include Figaro in The Marriage of Figaro, Marcello in La Bohème, Mercutio in Romeo et Juliette, Guglielmo in Cosi fan tutte, Sharpless in Madama Butterfly, Count Almaviva in Le Nozze di Figaro, Escamillo in Carmen, Bartolo in Il Barbiere di Siviglia, Le Grand Pretre in Samson et Delila, Don Alfonso in Cosi fan tutte, Silvio in I Pagliacci, Ford in Falstaff and the title role in Don Giovanni. He has appeared with the Sydney Symphony Orchestra, Tasmanian Symphony, West Australian Symphony, South Australian Symphony, Sydney Philharmonia, Sydney Chamber Choir, Sydney Youth Orchestra, Musica Viva, Canberra Symphony, Queensland Symphony, as well as the acclaimed Australian Brandenburg Orchestra. Concert repertoire includes Carmina Burana, Messiah, Samson, Israel in Egypt, Brahms’ Requiem,The Bells, and St Matthew and St John Passions. He was soloist on the ABC television special, A Fantasia on Christmas singing R. Vaughan Williams' Fantasia on Christmas Carols as well as appearing and singing in the award winning series, Brides of Christ. He has been a soloist for the Adelaide Festival (Flamma, Flamma), Melbourne Festival (Purcell’s Come Ye Sons of Art), and the Australian premiere of Phillip Glass' Symphony No 5 for the Festival of Perth. In November 1999, he made his UK debut with the London Symphony Orchestra, singing the role of Bosun in Billy Budd under conductor, Richard Hickox. 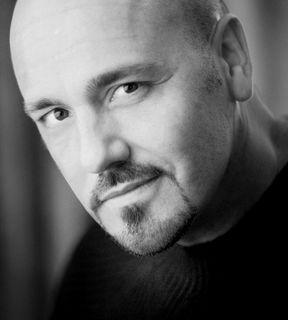 In 2004, Tim DuFore performed Donner in Das Rheingold for State Opera of South Australia (recorded and subsequently released by Melba Recordings) and sang leading roles in Batavia and Cenerentola for West Australian Opera and Cosi fan tutte for New Zealand Opera. In 2005, his roles included Mercutio, Marcello and Falke (Fledermaus) for Opera Australia and Marcello for SOSA. In 2006, his association with Opera Australia continued as Sharpless in Madama Butterfly and The Preacher in Batavia. The following year, he appeared in Little Women for SOSA and performed in concert with the Sydney Symphony and The Queensland Orchestra. In 2008, he sang Ping (Turandot) for SOSA and was a soloist with Sydney Philharmonia and as part of the New Zealand International Festival of the Arts.